The 2019 Kawasaki Versys 1000 is assembled in India from completely knocked down (CKD) kits and is almost Rs. 3 lakh cheaper than the outgoing model. Kawasaki India has launched the 2019 Kawasaki Versys 1000 at ₹ 10.69 lakh (ex-showroom Delhi). 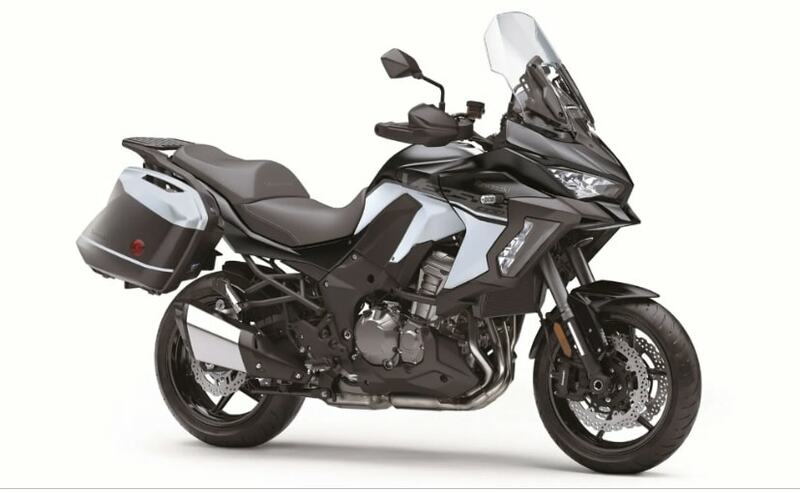 The 2019 Versys 1000 is available in only one colour – pearl flat stardust white/metallic flat spark black, and will be assembled in India from completely knocked down (CKD) kits. With the new prices, the Versys 1000 is now the most affordable adventure touring motorcycle, and comes with an in-line four cylinder engine. Kawasaki India describes the Versys 1000 as a “crossover sport model of Ninja 1000 with the engine and chassis designed to maximise riding enjoyment on the street.” Deliveries of the new Versys 1000 are expected to begin from March 2019 for customers who had booked the bike during the pre-booking period announced in November 2018. “The bespoke Versys 1000 has a style of adventure model, but it is most suited for sport riding and long touring. Technically, it is a crossover from the Ninja 1000 with a purpose of thrilling performance with everyday versatility. I hope our customers explore the endless possibilities with the Versys 100,” said Naoki Matsumoto, Managing Director – India Kawasaki Motors Private Limited. The Kawasaki Versys 1000 is powered by a 1,043 cc, liquid-cooled, in-line four engine which puts out 118 bhp of power at 9,000 rpm and 102 Nm of peak torque at 7,500 rpm. The engine, based on the Ninja 1000, is said to offer strong torque at low and mid revs, promising to make it an entertaining touring bike. The Versys 1000 rides on 17-inch alloy wheels and has an adjustable windscreen, accessible 840 mm seat height and packed with features like Kawasaki Cornering Management Function (KCMF), Kawasaki Traction Control (KTRC) and Kawasaki intelligent anti-lock brakes (KIBS), together with standard electronic cruise control. The Versys 1000 has a kerb weight of 255 kg, with a ground clearance of 150 mm. Going with the sport touring personality is a large 21-litre fuel tank for covering long distances between fuel refills. At ₹ 10.69 lakh (ex-showroom), the new Versys 1000 offers an attractive package in the adventure touring segment, promising good handling and impressive road manners. The Versys 1000 goes up against contenders like the Ducati Multistrada 950 and even the Honda Africa Twin and even the Triumph Tiger 800 XRx.